Valeant Pharmaceuticals Intl Inc (NYSE:VRX) Despite the bearish market action, the stock performed well closing the day with a gain of 9.59%. It looks to have bottomed technically. 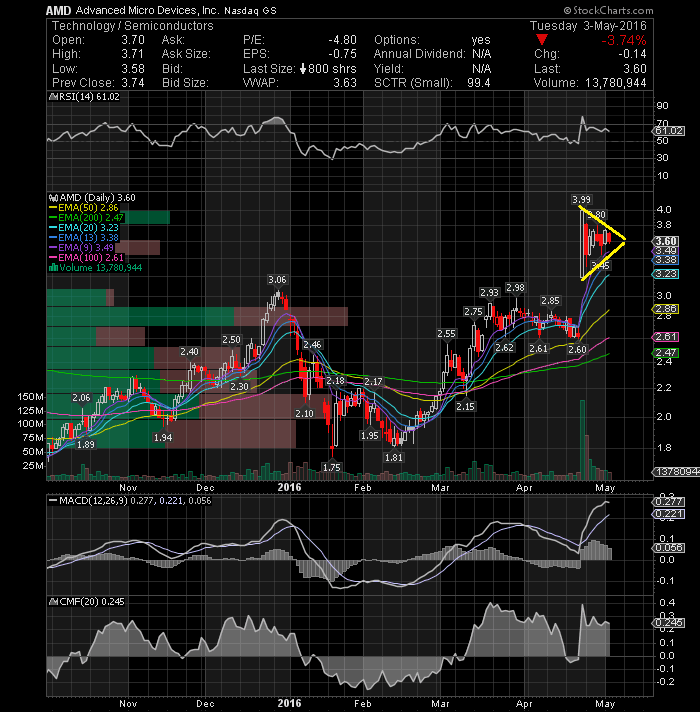 The stock is beginning to make a move higher and looks like it is gonna squeeze some shorts here. Any close above $38 could lead to a substantial gain in shares. It should be on your watchlist. 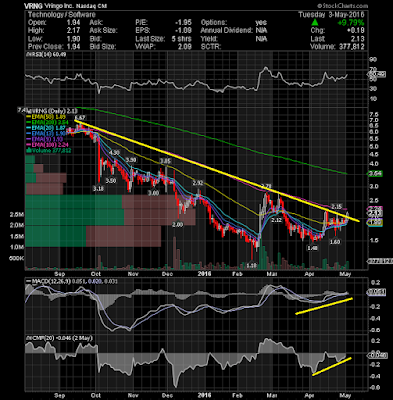 Vringo, Inc. (NASDAQ:VRNG) finally broke out of the downtrend accompained by a strong volume and look poised to head higher. The stock hit a high of $2.17 which is now resistance for Wednesday’s follow through move. 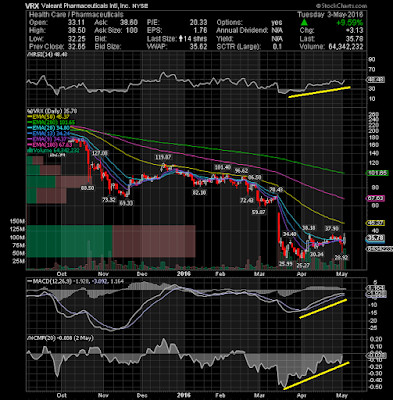 The daily technical chart is displaying a screaming buy divergence on the upside. 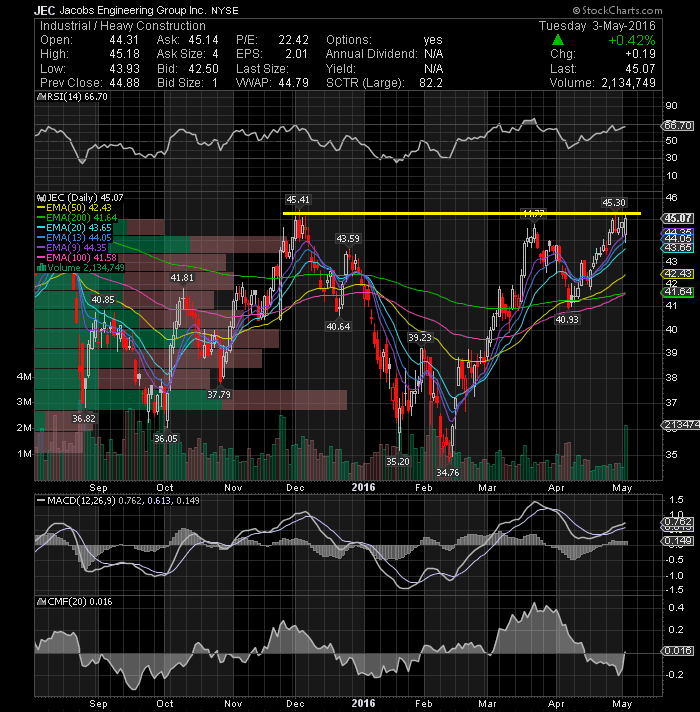 Expect an initial run up to $2.78 with a break higher moving to the $3.50 zone. 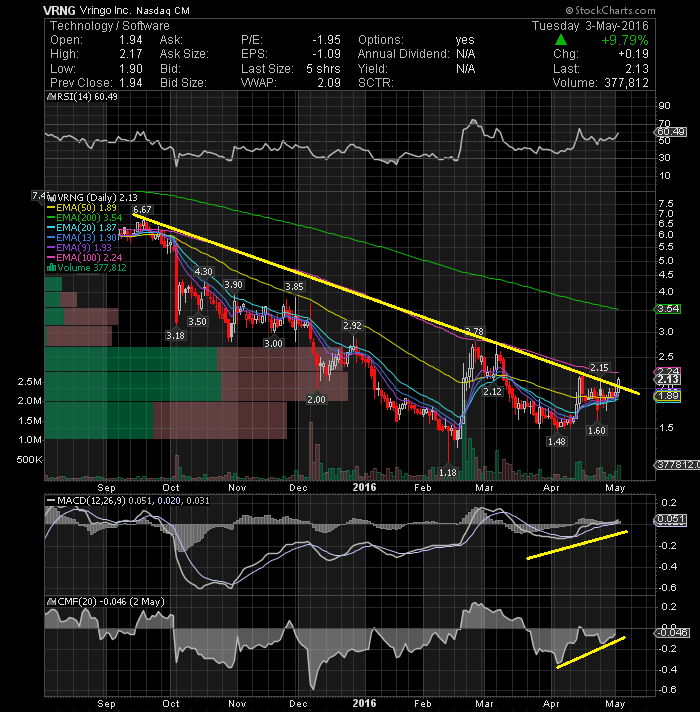 Momentum picking up with MACD climbing and RSI rising. Existing insider activity combined with a low float, may be the perfect catalyst needed to spark a short-squeeze buying explosion here. Lets keep an eye on it. 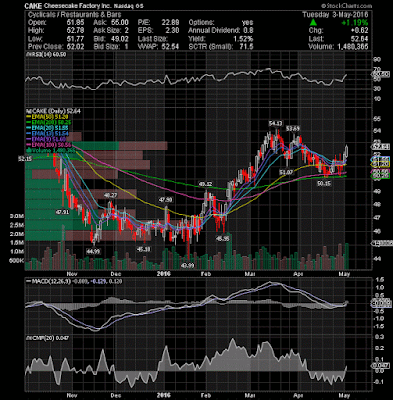 Jacobs Engineering Group Inc (NYSE:JEC) needs to take out $45.41. 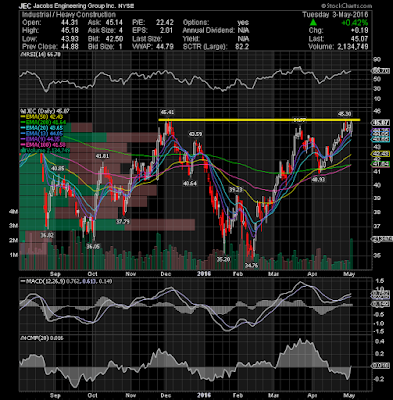 The break of the resistance line with heavy volume should be the next buy point. Cheesecake Factory Inc (NASDAQ:CAKE) I like the idea of getting long with a stop below its 50EMA. 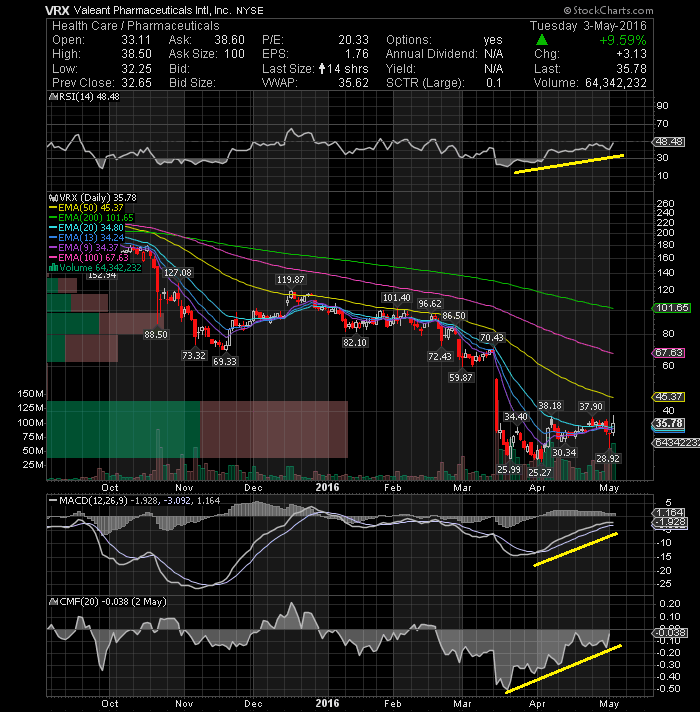 The MACD is making a bullish crossover and the RSI is also rising. On watch. 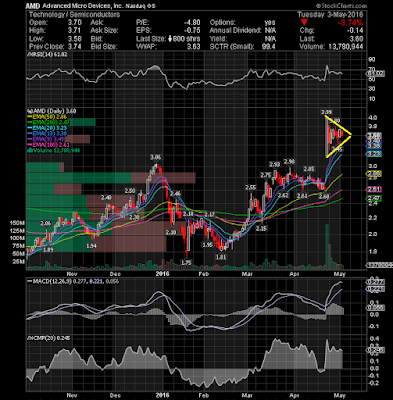 Advanced Micro Devices, Inc. (NASDAQ:AMD) There is a bullish pennant formation on daily chart. Play accordingly.